Upscale restaurant in Tampa. 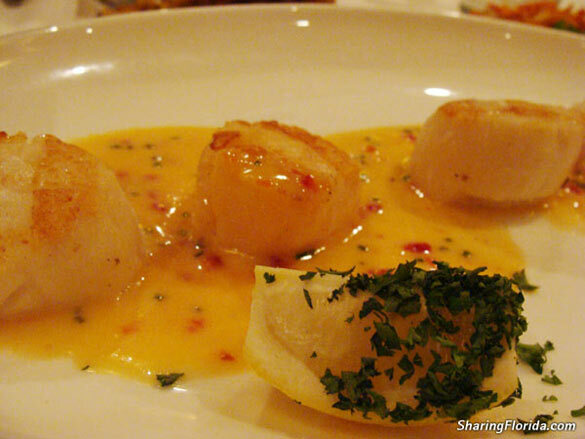 View photos from inside the restaurant, and of the food served. This is a special occasion kind of restaurant, like an anniversary. 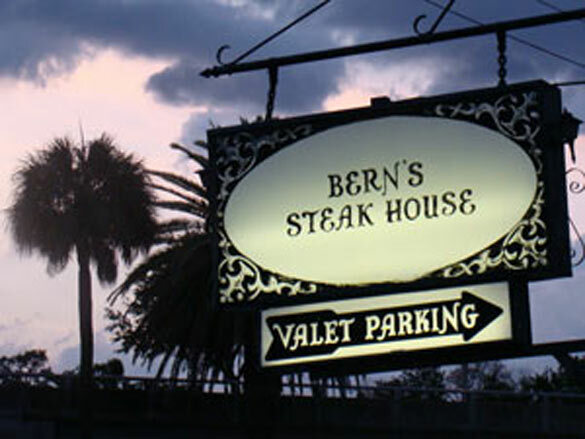 View the map and address to Berns Steakhouse in Tampa. 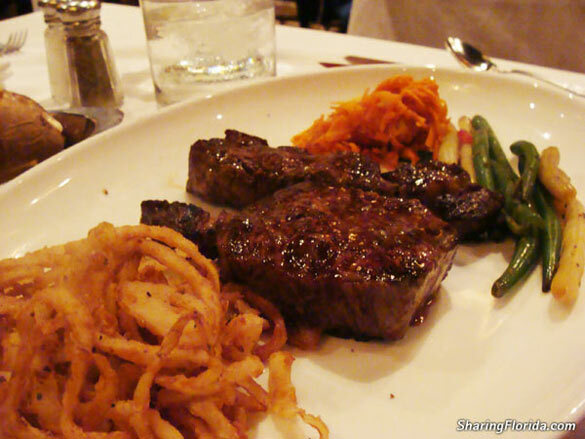 This upscale steak house is located in south Tampa.They serve perfectly moist aged steak and organic vegetables from their own organic garden. 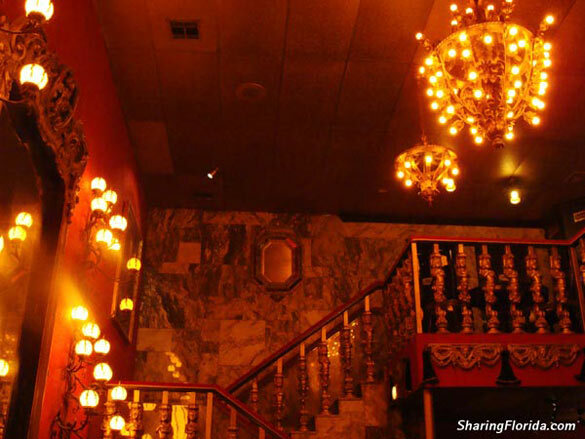 The decor is set in red and gold with an historic feel. Very glamorous from the ambiance to the wait staff dressed in suits. All meals come served with French Onion Soup, Salad, Bake Potato, fried onion rings. The food was absolutely delicious and cooked to perfection. Pictured here is the Delmonico Steak and Grilled Scallop Boat. Good place to go for special occasions like an anniversary. Reservations and proper dress required.